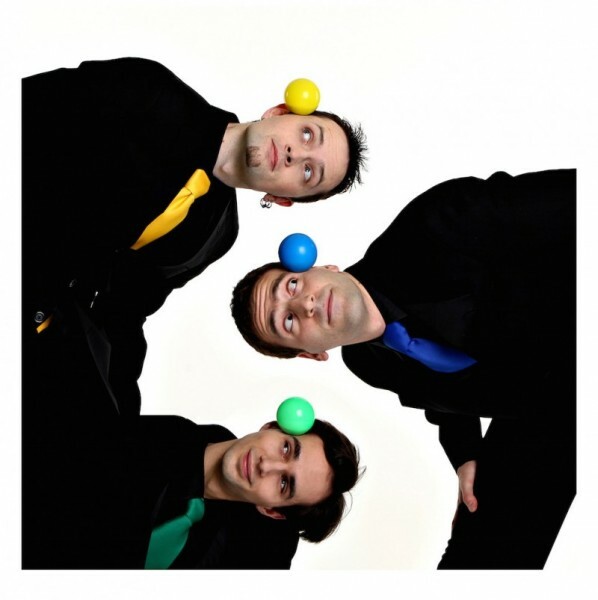 Darke County Center for the Arts will open their Family Theatre Series season at Henry St. Clair Memorial Hall in Greenville on Sunday, November 18 with “Playing By Air,” a trio of artists in a comedic performance featuring juggling, music, and circus. Darke County Center for the Arts will open their Family Theatre Series season at Henry St. Clair Memorial Hall in Greenville on Sunday, November 18 with “Playing By Air,” a trio of artists in a comedic performance featuring juggling, music, and circus. According to DCCA Artistic Director Keith Rawlins, the show features an electrifying display of lights, color, and motion featuring engaging characters and musical instruments that fly through the air. “’This imaginative theatrical experience is full of breathtaking feats, creative silly stuff, and more,” Mr. Rawlins stated. “’Playing by Air’s” contagious comedy and high energy performances are guaranteed to captivate audience members of all ages,” he concluded. The show starts at 2 p.m.
DCCA’s Family Theatre Series was inaugurated in 1997 to provide local youngsters and their parents the opportunity to experience the joy of theatre at an accessible cost. Other productions in the 2018-2019 season include Mermaid Theatre of Nova Scotia’s glowing production of Rainbow Fish, based on the classic children’s book, on Sunday, February 10, and on Sunday, April 7 “Underneath a Magical Moon from Tutti Fruitti Productions, a re-imagining of the Peter Pan tale as it would be told by Wendy. General admission tickets for each of the Family Theatre presentations cost $5; tickets for the entire season are available for just $12. Sponsors of DCCA’s Family Theatre Series are Dayton Power & Light Company Foundation, Second National Bank, Greenville Federal, James Steyer Fund of Darke County Foundation, Edison State Community College, Gordon Orthodontics, Jordan Insurance Agency, Wayne Healthcare, Greenville Rotary Club and Family Health. The series also receives fupport from the Jean Louise Thieme Fund of the Darke County Foundation and DCCA memberships. This performance is made possible in part by state tax dollars allocated by the Ohio Legislature to the Ohio Arts Council, a state agency that funds and supports quality arts experience to strengthen Ohio communities culturally, educationally, and economically. DCCA also receives operating support from the Harry D. and Esther Stephens Memorial as well as funding from the Ketrow Foundation, Lydia E. Schaurer Memorial Trust Fund, and the John R. and Miriam H. Knick Fund of Darke County Foundation. Tickets for “Playing By Air” may be obtained by contacting DCCA at 937-547-0908 or dcca@darkecountyarts.org; tickets are available online at www.darkecountyarts.org and will also be sold at Greenville Public Library, Readmore’s Hallmark and Darke County Welcome Center in downtown Greenville, and Worch Memorial Library in Versailles and will be available at the door if any remain by showtime.